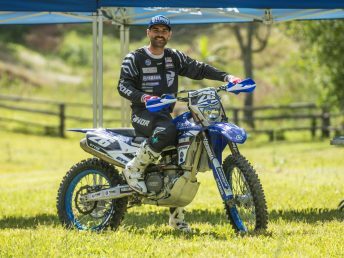 Former MX National champion, Luke Styke, will make the switch to off road racing for the 2018 season, joining Active8 Yamalube Yamaha team to compete in the Australian Off-Road Championships. Styke, who won the 2013 MX Nationals and 2013 Australian Supercross Championship for Yamaha, will return to the bLU cRU for 2018, this time in off road racing where the change of environment has reinvigorated and energised the 26 year old racer, as he takes on another chapter in his career. “I came to the end of the MX Nationals and just felt I needed a change. I had raced motocross for so long and things were becoming a bit stale but I didn’t want to stop racing so I looked at other options and off road really appealed to me,” Styke explains. “I did a few off-road events a while ago and I enjoyed them so I began talking with AJ Roberts and Yamaha about it and they were really receptive to the idea so we started to look at things a little more seriously. “At the moment, it is all new to me and I have so much to learn about off road but I’m excited every time I get on the bike, keen to learn more about it and really up for the challenge of doing something completely new and out of my comfort zone. “I don’t have a lot of time prior to round one but I will do everything I can to be fit and ready to go and can’t wait to start the new era of my racing career,” Styke ends. Styke will join incumbent Active8 Yamaha riders Josh Green, Wil Ruprecht, Damon Stokie and Beau Ralston in a huge off road line up and one that has team manager, AJ Roberts, looking forward to a huge season in 2018. “Having Luke on board has really energised the team,” AJ begins. “He is a strong and positive personality that has really rubbed off well on his team mates and he brings another level of rider experience to our team. “No question he is green when it comes to off road but I think he has the skills and desire to make it to the top of off road and there is no doubt in his mind that he is capable of winning rounds and championships. It will a challenge for himself and the team but I’m confident we will all rise to the occasion and enjoy a successful year. “We also have Josh, Wil, Beau and Damon back with us which is great news as they have become established stars in off road racing. We have plenty of experience across all disciplines of off road racing and the 2018 season is going to be huge for us and we look forward to a successful year with a talented group of riders. The Australian Off-Road Championships (AORC) gets underway in March next year. Stand by for up-coming announcements from the Active8 Yamalube Yamaha team as they finalise their preparations leading into the new season.